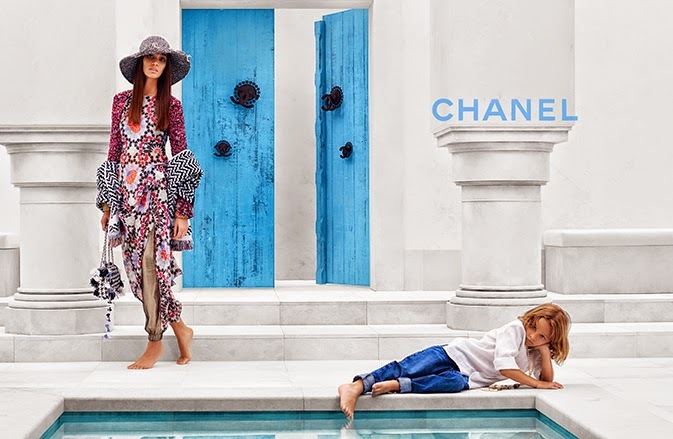 CHANEL Cruise Dubai 2014/15 campaign shot by Karl Lagerfeld with models Hudson Kroenig and Joan Smalls. 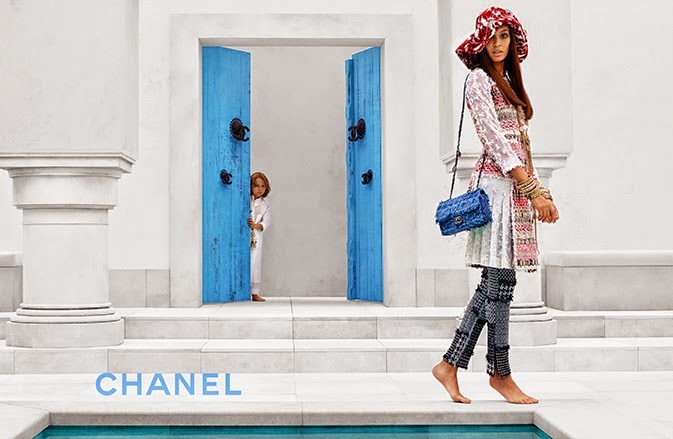 Discover the video 'Details of CHANEL Cruise 2014/15 & the entire collection at the end of this post! 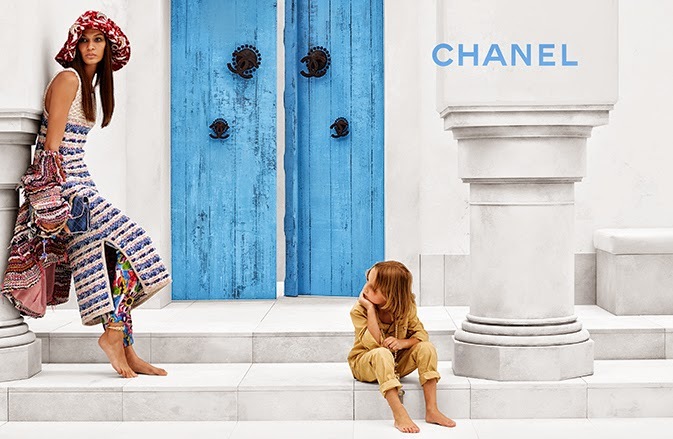 In the past years CHANEL marks a great resort tradition with its previous presentations in Dallas, Singapore, Edimbourg, Chateau de Versailles, Bombay at Grand Palais and Byzance. This time Karl Lagerfeld was silhouetted against a night sky, the moon hanging somewhere to his left, the hazy cityscape of Dubai ranged behind him: extreme stagecraft of the kind CHANEL lavishes on its cruise show these days. CHANEL set the precedent that resort at The Island, Jumeirah Beach Road, is a time for setting off on jaunts to entertain the customers of the world in their own habitats, and, goodness, it’s got the competition running between brands for extravagant gestures of entertainment and hospitality.